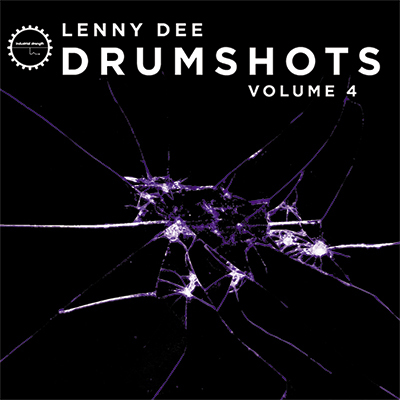 From the boundless inspiration of his personal collection, Industrial Strength Records founder and iconic producer Lenny Dee ups the anti with the blitz that is Drumshots Vol. 4. The battle is won, but the war isn't over until every analog, digital, and live drum shot is unleashed! This pack delivers a fresh round of dynamic drum sounds, ready for layering live and in the studio. Drop raw rhythms seamlessly into your tracks — We left plenty of room to tweak those deep kicks, cracking snares, crisp hats, and every element of the groove. Our Drumshots series highlights Lenny Dee's most usable, quality samples from more than two decades of sessions. This dope collection assembles a full range of straight-ahead survival packs to cover the essentials across Hip-Hop, DnB, Dubstep Techno, Electro, House, Grime, Rock, Pop, and absolutely every genre Dee has ever touched. Mr Dee stopped at nothing to capture these 24-Bit, 44.1-kHz pro drum sounds. He reached for gear from the SSL E and G Series, Neve, Amek, Harrison API, and Sound Craft, right on down to lo-fi Mackie and DJ mixers. Shots were also made in-the-box with modern software, and some were even captured on tape for that extra-warm Sony MCI tone. You'll hear loads of character in Drumshots Vol. 4 . . . Some of these pumping shots got some attitude problems. Luckily, we've made things easy for you by preparing this pack for Battery 3, Kontakt 4, Maschine, and Logic Esx. Instantly load your weapons of choice for drum replacement, layering, and stirring up your own style of rhythmic mayhem.